The tomatoes are finally ripening! Yay! Even if you are not growing your own tomatoes this year, I bet you're finding the prices are amazing in the stores and the Farmer's Markets! If you find yourself with a ton of tomatoes to use up, here are some recipes using tomatoes you'll love! I've categorized them so you can find the tomato recipe that's right for you! 5) How to Make Fermented Ketchup That Will Last in the Fridge! Oh, my gosh: There is very little better than Fermented Red & Green Tomato Salsa! Click Here to Get the Newsletter & Three eBooks! These recipes involve using tomatoes in delicious recipes for your family. I think you'll really like these! 10) Roasted Corn and Basil Stuffed Tomatoes by Lindsey @ A Pinch of Yum, one of my favorite food blogs! 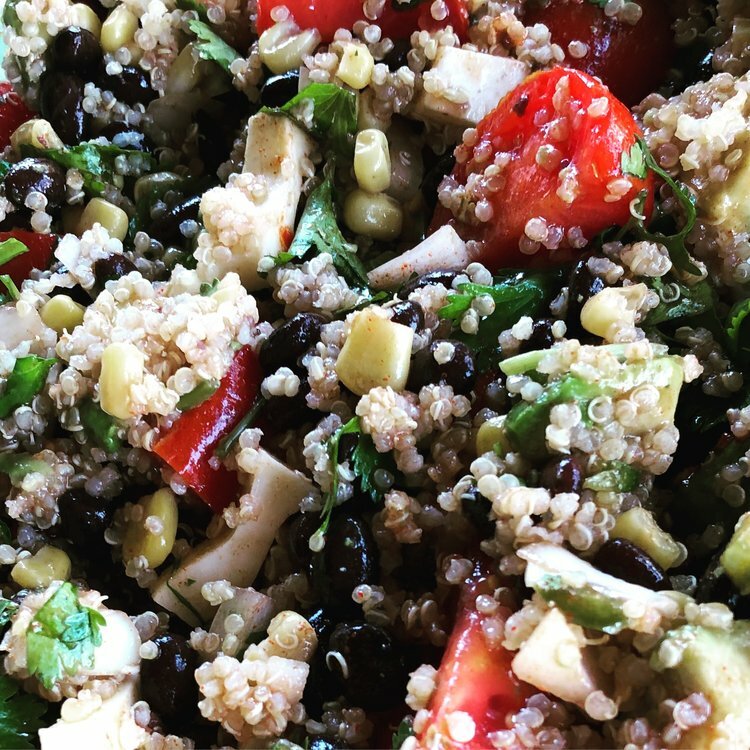 This Summer Fiesta Quinoa Salad is delicious...and healthy! 5) Black Bean and Corn Salsa (the foundation is tomatoes) by Danielle @ The Rustic Elk--and she includes canning directions, too! You can ferment this homemade ketchup recipe...or not. Either way, it is healthy and delicious! Your family (even the kids) will fall in love! I have yet to try my hand at creating tomato jam or jelly. But! I am sure tempted after reading through these recipes! Don't these jars look incredible? This is the recipe for Fermented Russian Tomatoes. Dehydrating your excess produce is one of the best ways to use up your supply! Did you know you can make sun-dried tomatoes right in your own home? There are other ways to use and preserve those tomatoes too. Here are some ideas plus some tips for prepping tomatoes! 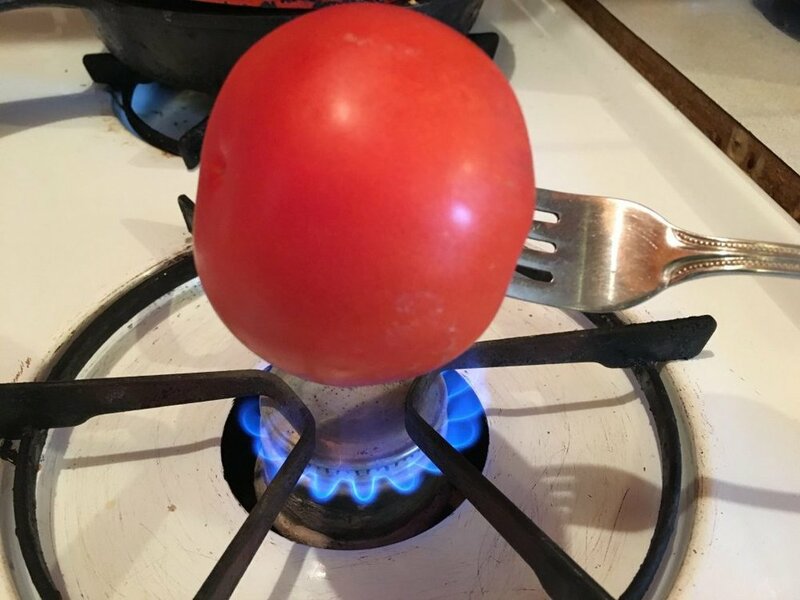 Here's one of the six ideas for peeling tomatoes from my friend, Delci---Who knew? I hope you'll give some of these recipes and ideas a try! And-- let me know what you think! Any time you end up with a lot of produce, it can be a challenge figuring out how to use it all up. With these 30 Tomato Recipes and Ideas---I hope it helps! It sure helped me, as I figure out and decide what I'm going to do with all those 'maters this summer! And lots more on the blog! Enjoy! P.S. I hope you'll sign up for the newsletter! You'll never miss a thing, and I'll be sending you three free eBooks too! And of course, you can unsubscribe at any time. Click to Get the Free Newsletter & eBooks!